When fall is in the air, I can't get enough pumpkin! This is for when you have a craving for a good dessert, but not a lot of time. Delicious topped with whipped cream and a sprinkle of cinnamon. Mix well in electric blender. Top with a dash of cinnamon or nutmeg. 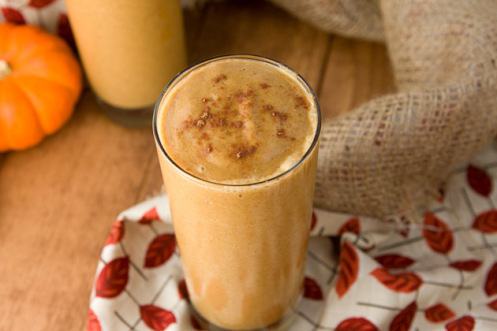 Pumpkin pie in a glass. Enjoy! Note: For added nutrition, try adding a banana to the mix.